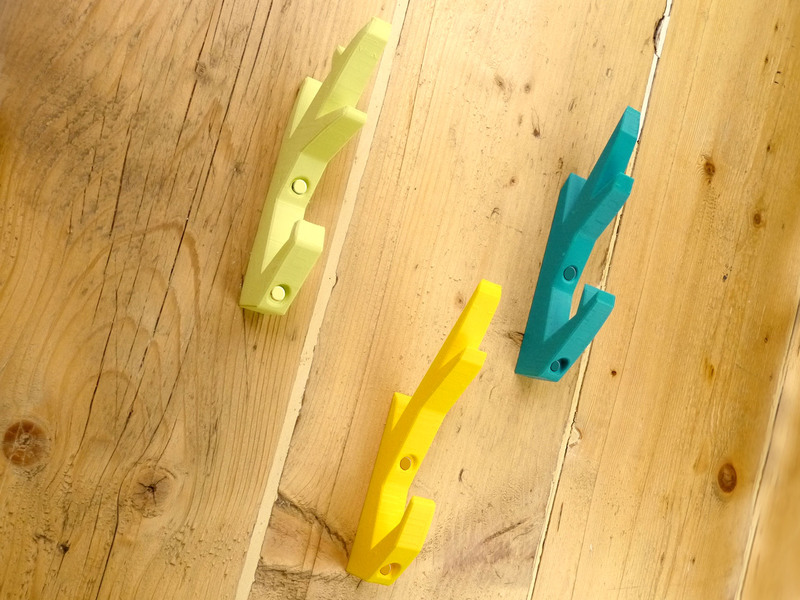 Coat hangers in 3 different designs! After just having finished setting up our new space, we needed somewhere to hang our coats and helmets. Come "Deerhanger" to the rescue. A stylish and practical coat-hanger, where you can hang your coat, helmet and keys, all at once! Three slightly different designs for all your coat-hanging needs! Note: No deer were harmed during the making of the Deerhanger.